Isabella was not born to be a Queen. She was born on 22 April 1451 as the daughter of John II, King of Castile and his second wife Isabella of Portugal. She had an older half-brother from her father’s first marriage to Maria of Aragon, the future Henry IV of Castile. A younger brother, Alfonso, was born in 1453 and displaced her in the line of succession.She never knew her father as he died in 1454 and her half-brother became Henry IV. The age difference was considerable. Henry was 26 years old when his half-sister was born. Isabella, her mother and her brother Alfonso were moved to Arévalo, where they were neglected by Henry IV. They were only summoned to court when Henry’s wife Joan of Portugal was about to give birth. Alfonso was placed with a tutor and Isabella joined the Queen’s household. Rumours soon arose that the child born to Joan of Portugal was not Henry’s child at all. Several noblemen demanded that Alfonso be named his successor. He was even persuaded to seize the throne, and after the battle, Henry agreed to name Alfonso as his successor. Not long after Alfonso, now Prince of Asturias, died. He most likely died of the plague but poisoning was suspected. Isabella, as Henry’s last surviving sibling, was asked to take his place as champion of the rebellion. Isabella preferred to negotiate. She met with Henry, and he agreed to name her as his successor if she did not marry without his consent and he also promised not to force her into marriage. Although this Henry would continue to try and marry Isabella off. 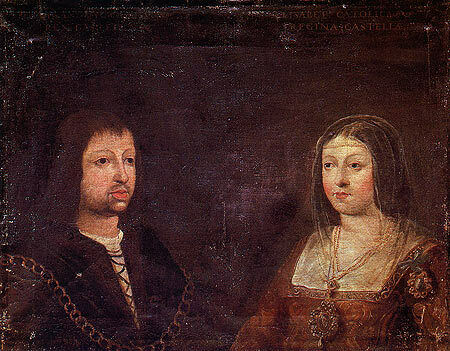 Isabella on the other side made a secret promise to marry her cousin Ferdinand of Aragon. The formal betrothal took place on 18 October 1469, and the two were married a day later with a supposed bull from the pope as they were second cousins. Isabella eloped from the court with the excuse of visiting her brother’s grave while Ferdinand entered Castile disguised as a servant. Isabella became Queen on 11 December 1474 upon the death of Henry IV. 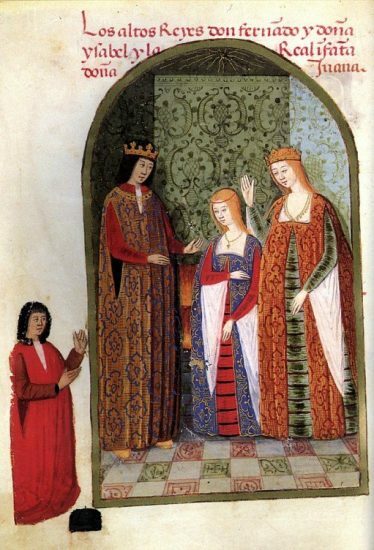 His supposed daughter Joanna la Beltraneja married Afonso V of Portugal on 10 May 1475 to strengthen her claim to the throne, but her reputation had been tainted by her mother’s continued infidelities. By 1479 Afonso V gave up his pretension to the Castilian throne and signed a treaty with Isabella and Ferdinand. Joanna was given the choice of marrying the son of Isabella when he came of age and if he then chose to or to enter a convent. Joanna chose the convent. She continued to sign her name as if she was Queen. Isabella and Ferdinand had seven children, of which two were stillborn. Her children made advantageous marriages, but her plans did not work out. Her only son and heir, John, married Margaret of Austria at the age of 18. He would die just seven months later, reportedly of sexual overexertion, though I do not believe that, as Margaret became pregnant almost right away and they usually did not continue to sleep together during pregnancy. Margaret gave birth to a stillborn daughter two months after John’s death. The next heir was now Isabella’s eldest daughter, also named Isabella. 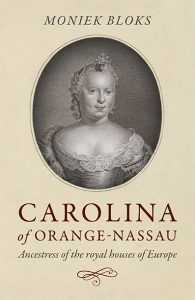 She was the widow of Prince Afonso of Portugal, and they had no children. 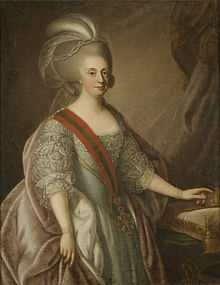 She remarried to Manuel I of Portugal in the same year she became the heiress, though she had stated she never wished to marry again. 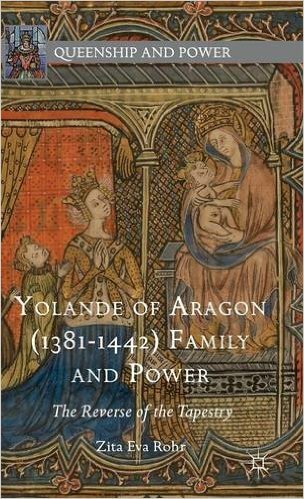 She gave birth on 23 August 1498 to her only child, Miguel da Paz, who lived for only two years during which time he was heir to Castile, Aragon and Portugal. Isabella died within an hour of his birth. Her mother must have been heartbroken. The next heir was now Joanna, Isabella and Ferdinand’s second daughter, who had recently married Philip the Handsome. She became Queen of Castile upon the death of her mother. Their third daughter Maria married her sister’s widower, Manuel I of Portugal and their fourth daughter Catherine married firstly to Arthur, Prince of Wales and later to Henry VIII of England. Isabella meanwhile was Queen of an empire of her and her husband’s making. They conquered Granada in 1492 and sponsored Christopher Colombus’ trips to New World. The Jewish population was expelled, though many converted to stay. The title of Catholic King and Queen was bestowed on Ferdinand and Isabella by Pope Alexander VI in 1494 in recognition of their defence of the Catholic faith within their realms. Isabella officially withdrew from governmental affairs on 14 September 1504, and she died that same year on 26 November in Medina del Campo. The tragedies in her personal life had destroyed her. Through her daughter Joanna she was the grandmother of Charles V, Holy Roman Emperor, Ferdinand I, Holy Roman Emperor and four Queens. Through her daughter Catherine she was the grandmother of England’s first Queen Regnant Mary I and through her daughter Maria she was the grandmother of Isabella, wife of Charles V and two Kings of Portugal. Her legacy was perhaps not how she imagined it, but it is a legacy nonetheless. 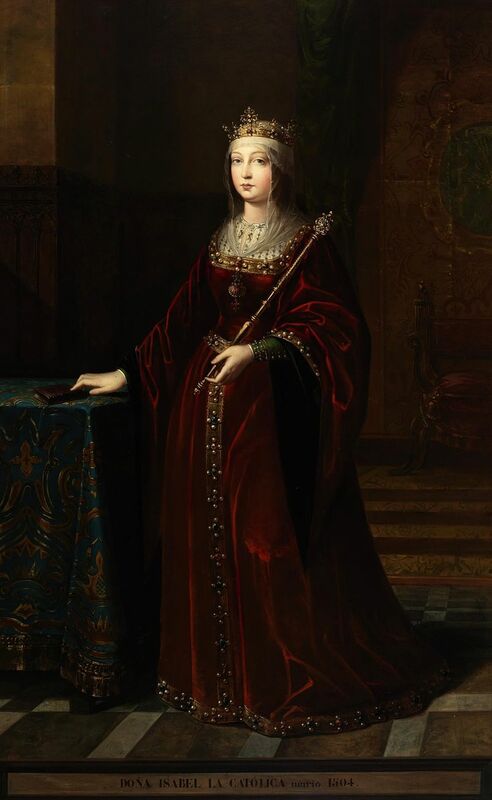 My heart goes out to Joanna of Castile, Queen of Portugal and Afonso of Portugal did care for her as he wed her and rose as her champion and keep Isabella at war for four years. Of coarse, Afonso also cared for the crown of Castile but he was there for Queen Juana.